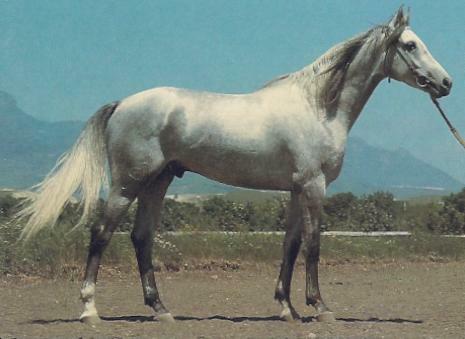 Tersk, also known as Tersky, horses were founded in Ukraine. They are primarily used for racing, competition, endurance training, and sports. They are considered to be calm and very hardy. Tersk horses were developed sometime during the nineteenth century as military mounts. That time they were refered to as Streletsky horses. By the time the twentieth century they suffered a massive decrease in popularity. There were two variations that survived refered to as Tsilindr and Tsenitel. In the early nineteen hundreds, around 1925, a brand new breed had formed. They were noted to be found in the Tersk Stud and that became the new name from there on. Today they can be found in Georgia, Turkey, Armenia, around the Russian Federation, and along the Black Sea. They are often used in competitions and races. Tersk horses stand around fifteen hands tall and are rather muscular. They have a high carrying tail. Their manes are short and wiry and their shoulders slope. They have an Arabian looking head with what is usually considered vibrant or expressive eyes. They do not have lots of bone inside their legs and are one of the few with a flat croup. Caring for a Tersk horse is not terribly demanding. They can live in many climates and have a very upbeat attitude as well. Generally, they are very resourceful and can find their way through the mountains with ease. They are considered to have a very good sense of direction.